The first half of this month has been all about bonsai! 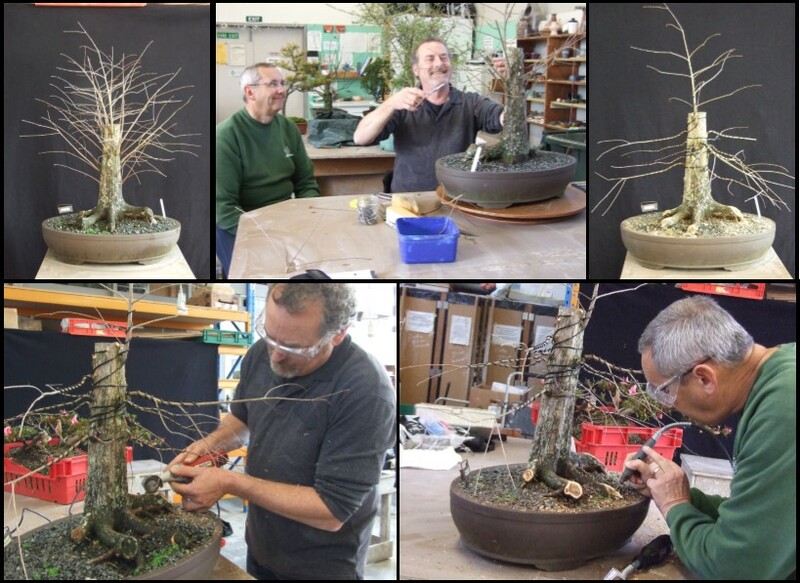 Tony Bebb, the Hamilton Bonsai Club Sensei (bonsai teacher) flew across the ‘ditch’ to work with us Kiwis on our trees. We had him for a couple of days working at our place before he moved onto other club members. Being an Aussie from Brisbane he found our winter rather cold and had to wear gloves and a beanie for the first time in years. 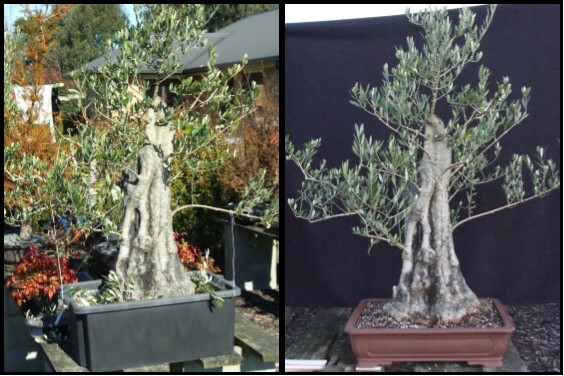 Here are some of the trees we restyled. 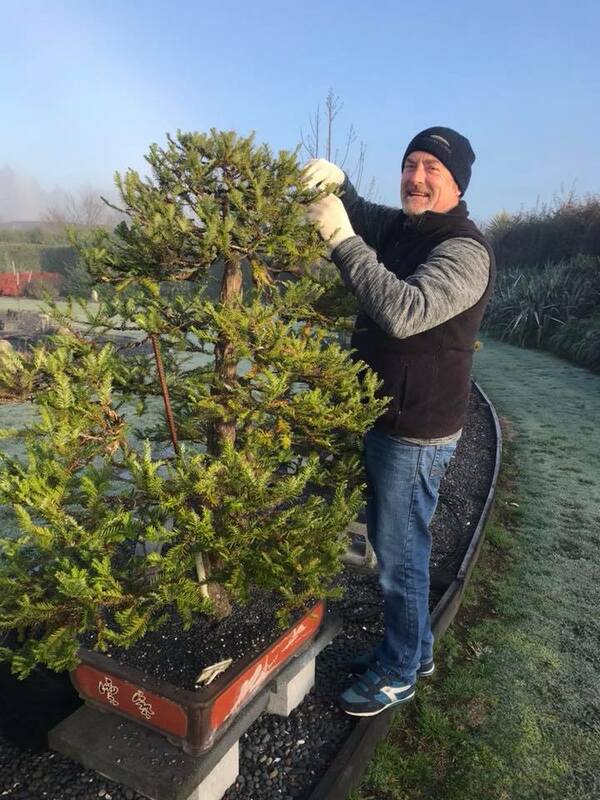 Ann’s larch group……. 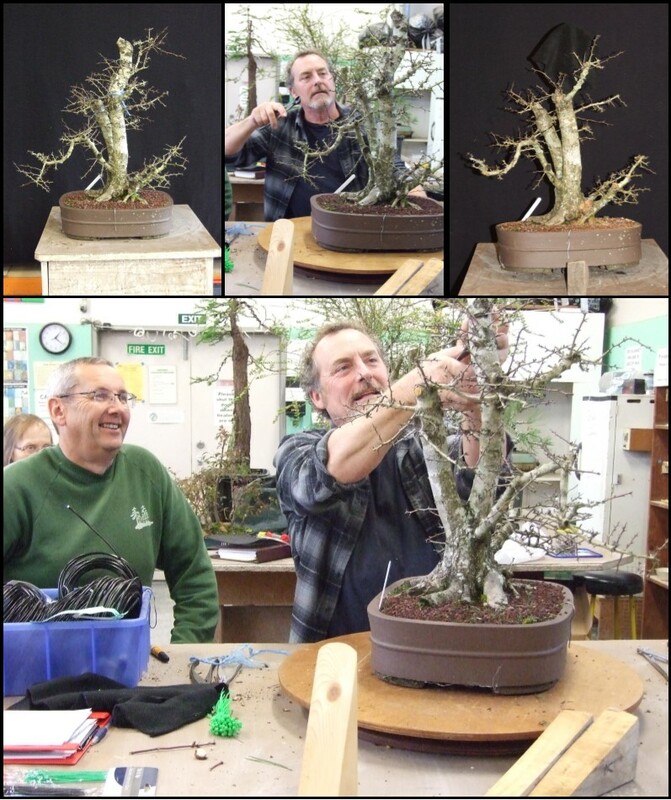 Then the following weekend we had club workshops both days – styling more trees. We also finally got a new heat pump installed although it took a couple of days as the first heat pump the guy installed was the wrong one (not his fault) and he had to return the following day to put the correct one in. Now we have a wonderfully warm house in the mornings whilst we get ready for work – yeah! 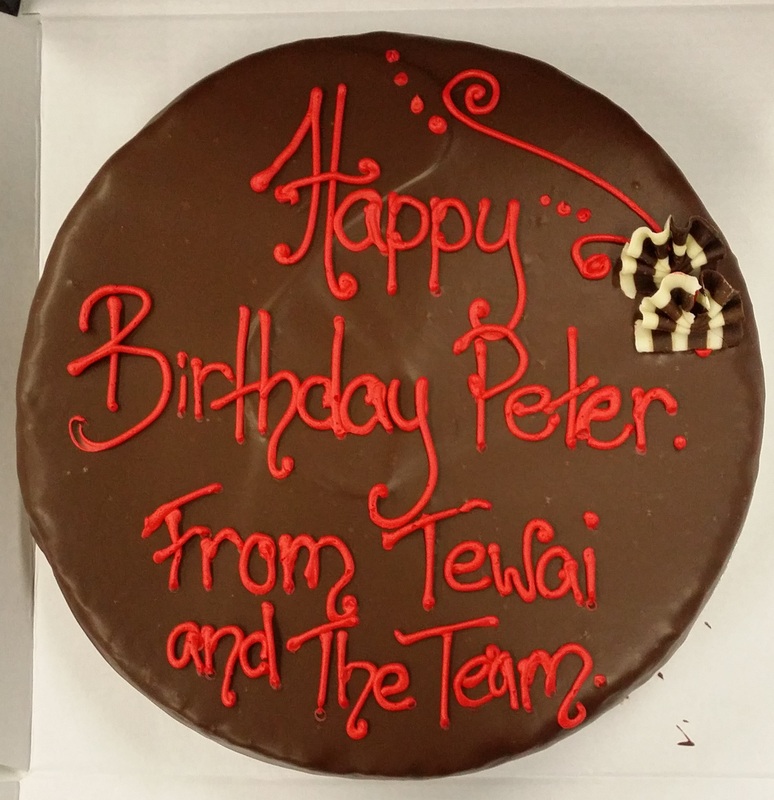 Peter celebrated another birthday this month. His workmates gave him a lovely cake (after he’d taken one into the office too). 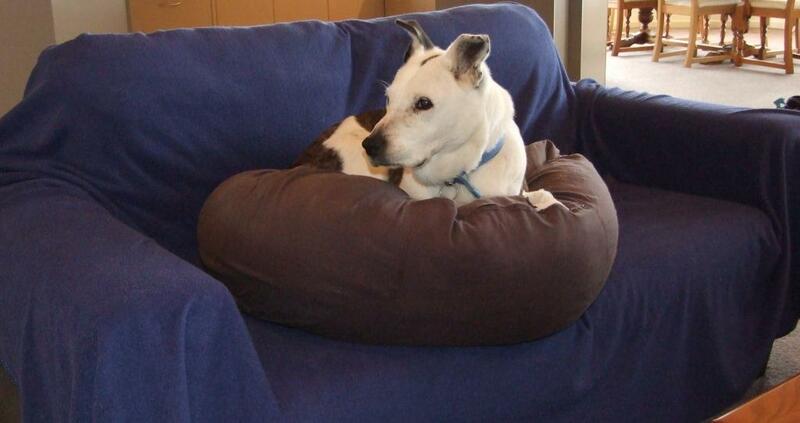 Maxie has found that snuggling into a bean bag on the sofa is a much better way to relax! This was taken a couple of days before she went into the vets for a scale and polish of her teeth. Supposedly a simple procedure – Maxie’s teeth cleaning turned into something much more intensive and expensive. The vet found an abscess under one tooth, so out came the tooth and the abscess drained. The vet also found two large lumps under her neck – the size of large gobstoppers (how did we not feel them?) and removed them both. Luckily they were benign fatty lumps. Poor Maxie came home full of drugs and antibiotics, and very wobbly on her paws, bless her. Then to add insult to injury the following day the vet phoned to say she had infected ears so needed ear drops! She has recovered well and had her stitches out a few days ago. 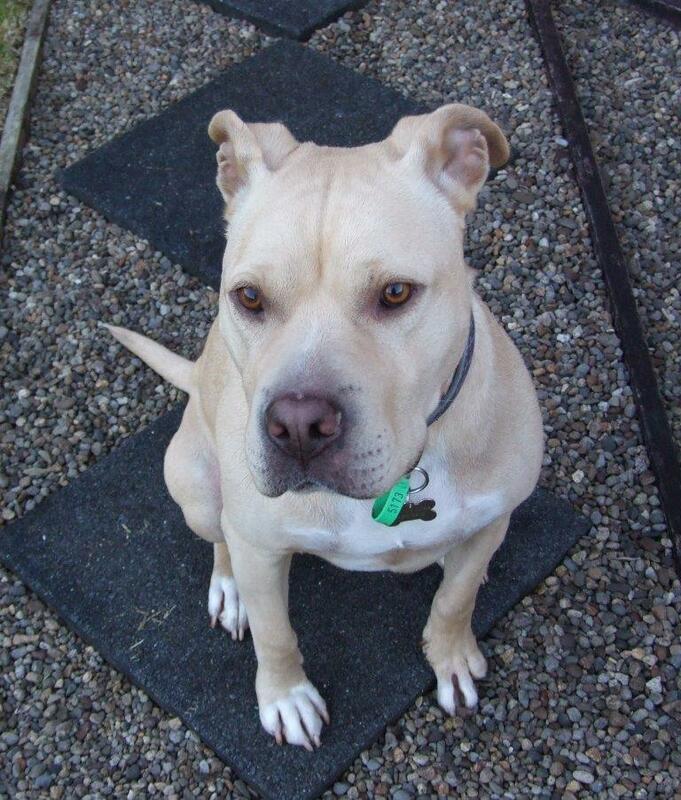 Honey has also been back to the vets and needed a course of steriods for an itchy, sore bum! The same day Maxie had her surgery Peter came home with the left side of his face all swollen. A visit to the dentist confirmed an abscess – so he was also on antibiotics and pain relief, and then a week later – another appointment for expensive dental work to replace a crown. That all changed when he went in for the preparation work – they found the abscess was between the roots of the tooth so out it came! All because he didn’t want his ‘girl’ to suffer on her own! On 26th on the month Peter was made redundant. In his exit interview the HR person asked him “Why did you decide to leave the company?” Peter was speechless. “Because you made me redundant”. He was not impressed and it served to support his views on the company.